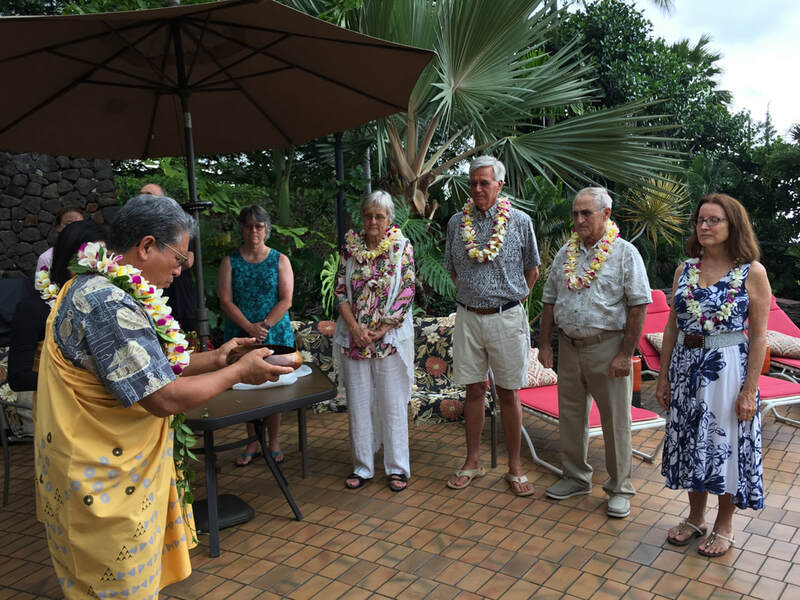 traditional Hawaiian blessing, by Reverend Danny Akaka. The Onion House was recently purchased by the Harry and Barbara Last Family Trust. Barbara had wanted to visit this architectural wonder some time ago and when she learned that the property was for sale, she insisted that they book their stay immediately. Upon awakening in the Onion House the very first morning, Harry fell in love with the unique architecture and as well the engineering structural aspects of the overall property. They both decided that they wanted to be the purchasers, not only to enjoy for their family, but also to continue to preserve and maintain this wonderful property for guests as well. Barbara and Harry have asked Beth McCormick to continue to be an advisor on the maintenance and preservation of the property. Manager Jeanne Awai, along with the crew who have managed the gardening and maintenance alongside Beth, will continue the tradition of welcoming guests to the Onion House. Terri Watson will manage the booking process for Harry and Barbara and will be the person you work with to arrange your stay. Barbara and Beth in the kitchen on the morning of the ceremony. 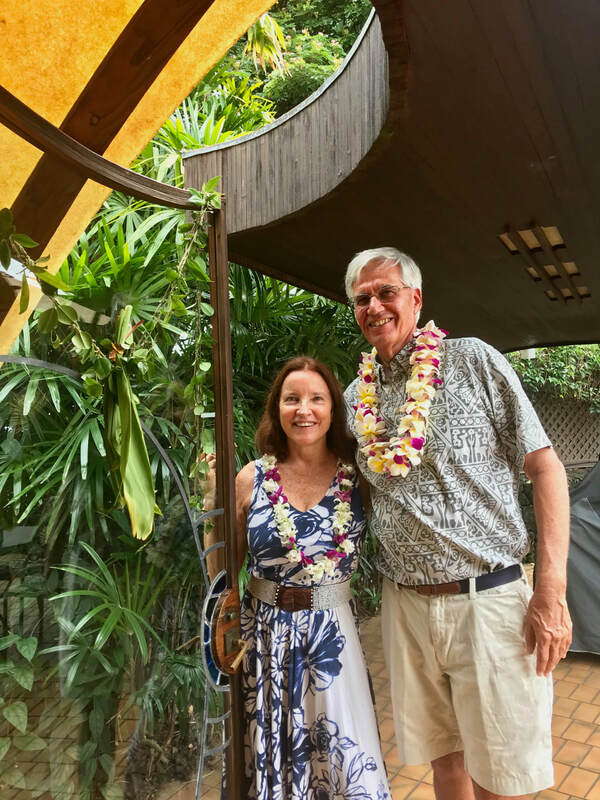 Beth and Brad will consult on vacation rentals and architectural preservation. Jeanne heads up the crew that work their magic on the Onion House. This vacation rental brochure was printed by Auntie Dofeen in 1962. She foresaw this business long before the internet and succeeding generations made it a reality. Terri (right) is the guest relations and booking manager for the new owners. She and Kimi (left) help Harry and Barbara with their Oahu properties as well.